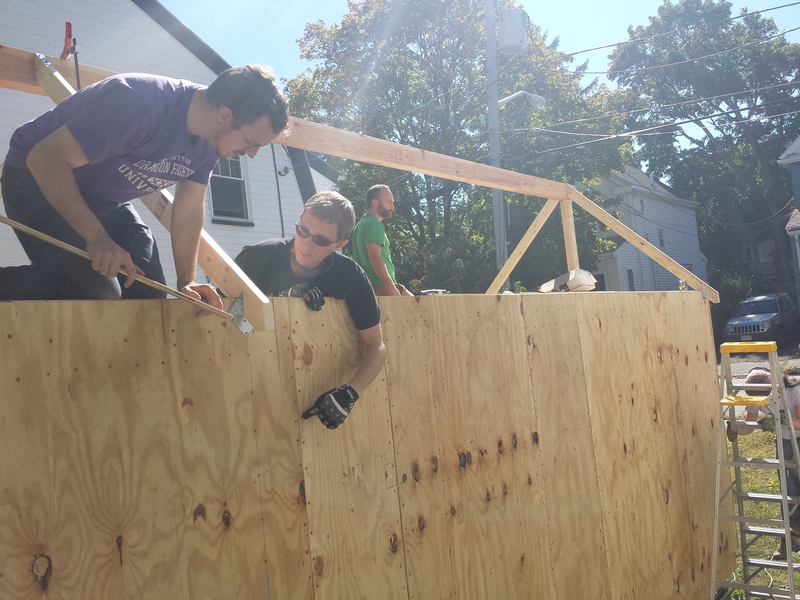 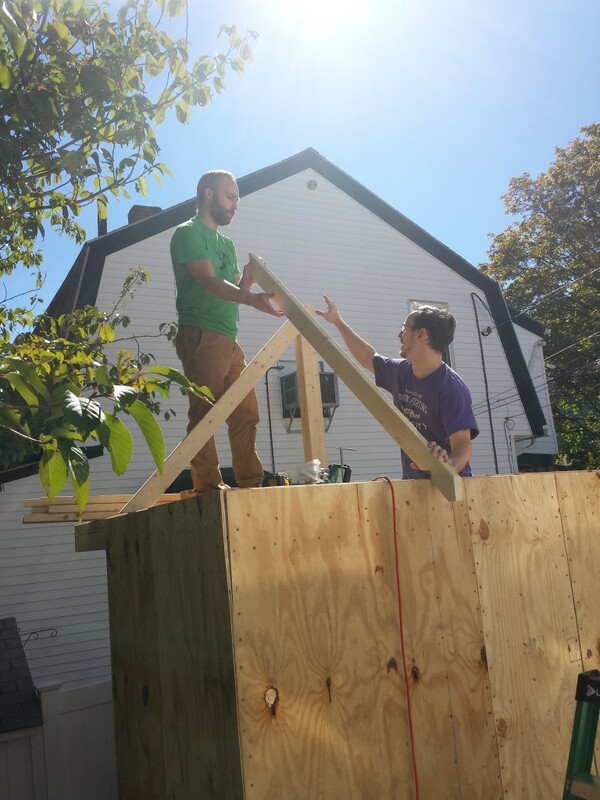 This past Sunday was our 3rd party, this one with the objective of putting up the roof frame. 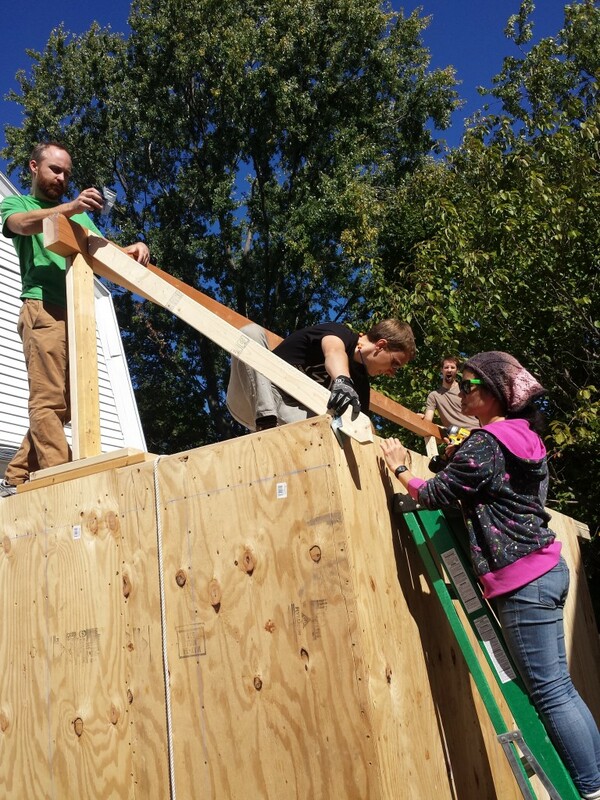 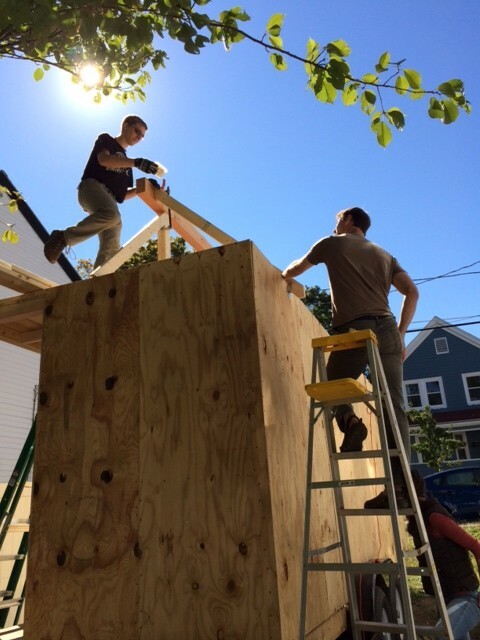 Four people were needed to lift the ridge beam the 13 1/2 feet up to its place as the highest point of the house, since that one piece weighed 125 pounds. 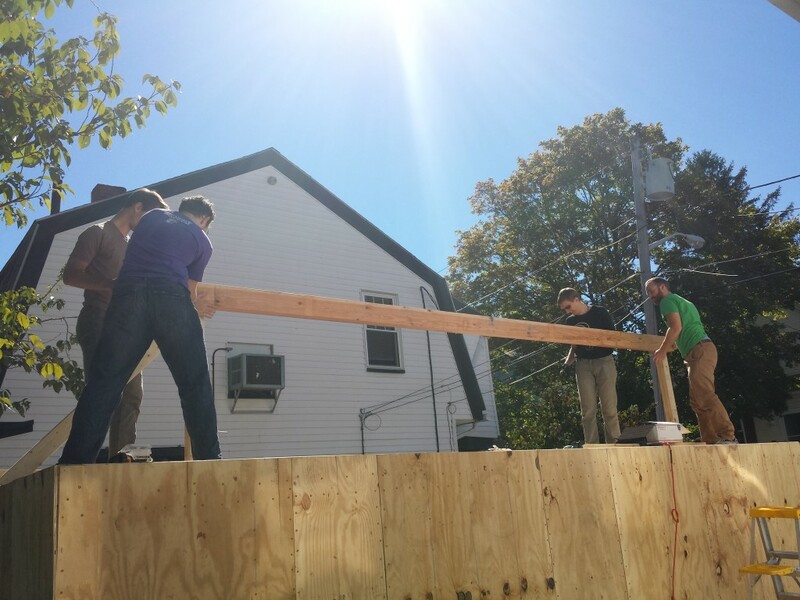 We also got the rafters securely into place at intervals along the beam. 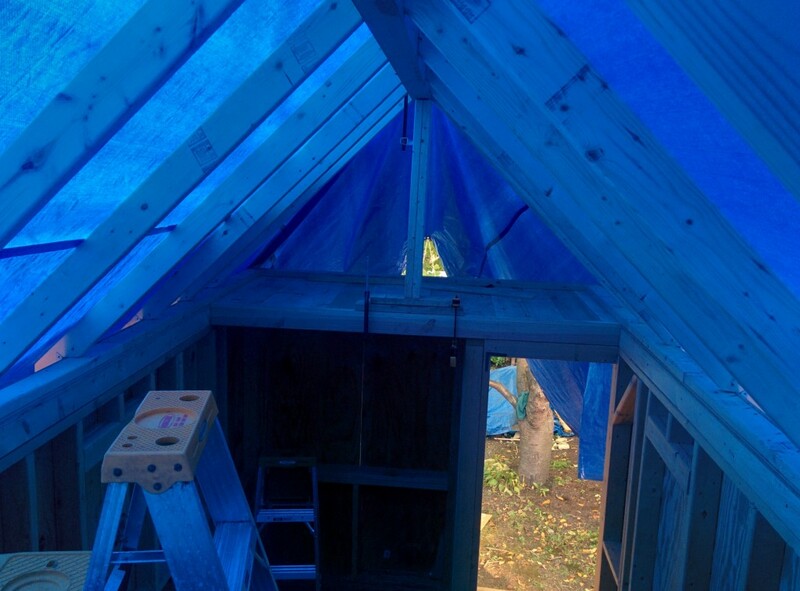 Accomplishments at this party include a rerigging of the tarp. 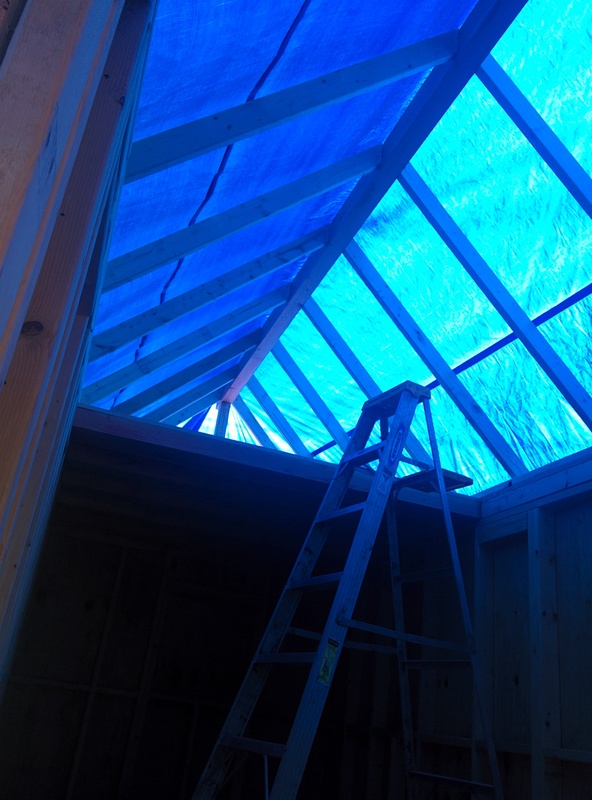 This had to be done because there is now a steeply peaked roof frame in place, and it could be set up so that it is easy to put up and won’t be at risk of pooling rainwater anymore. 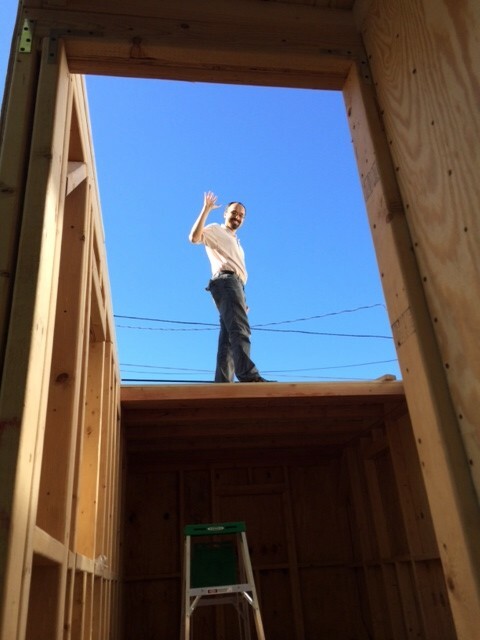 In addition to meeting our objective getting the roof frame up, we also now have a detached staircase leading up to the door. 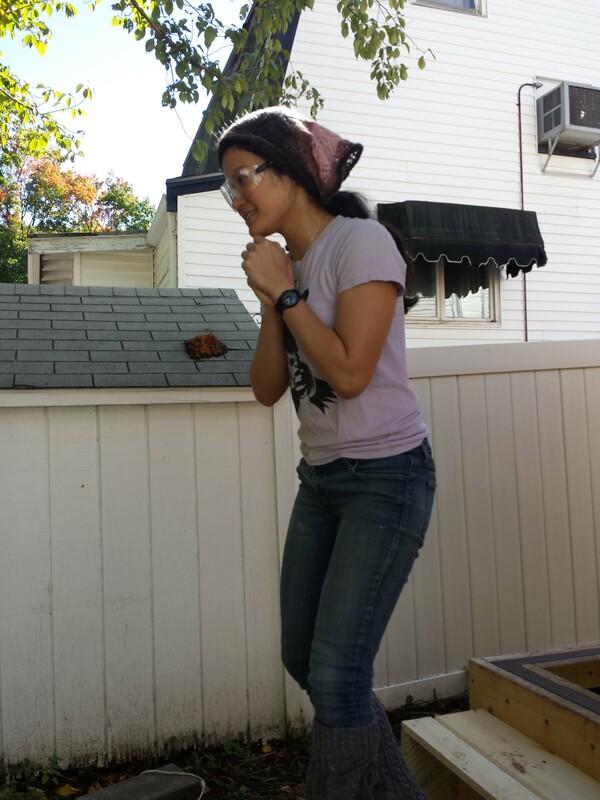 Nicolle expressed some time ago that this would be a good idea. 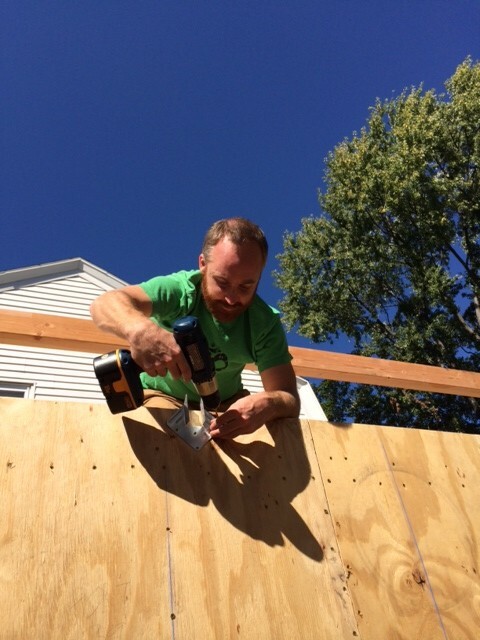 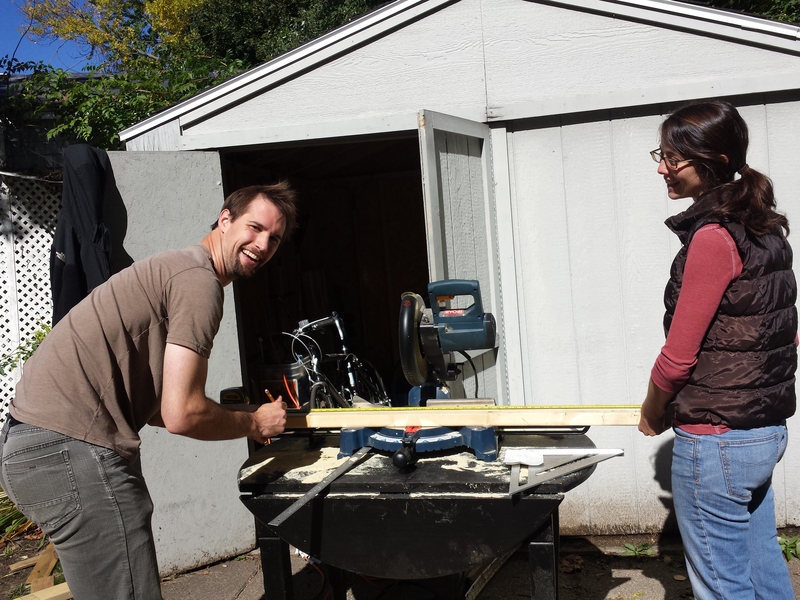 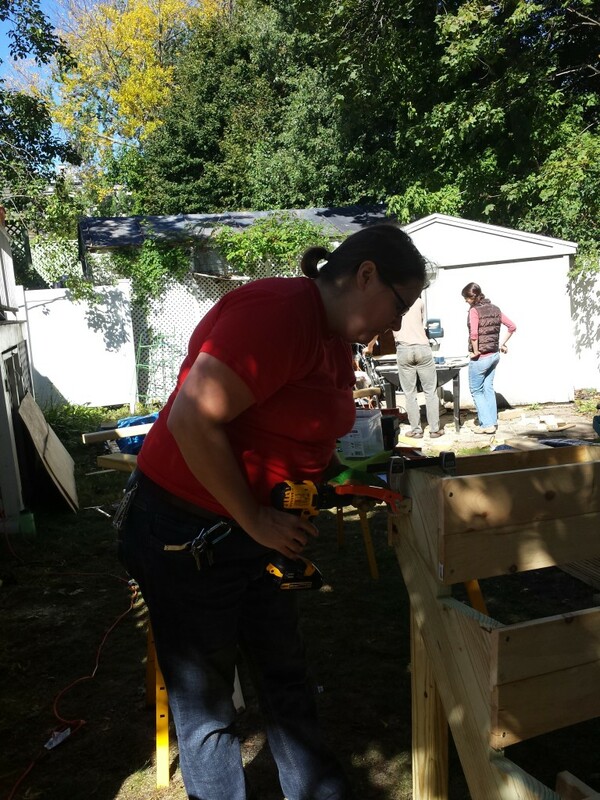 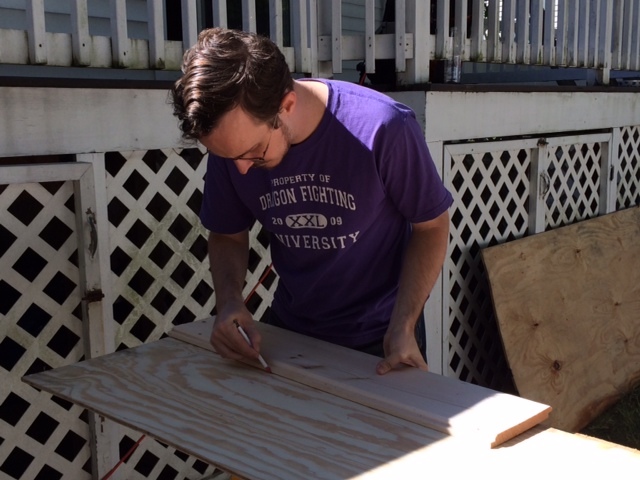 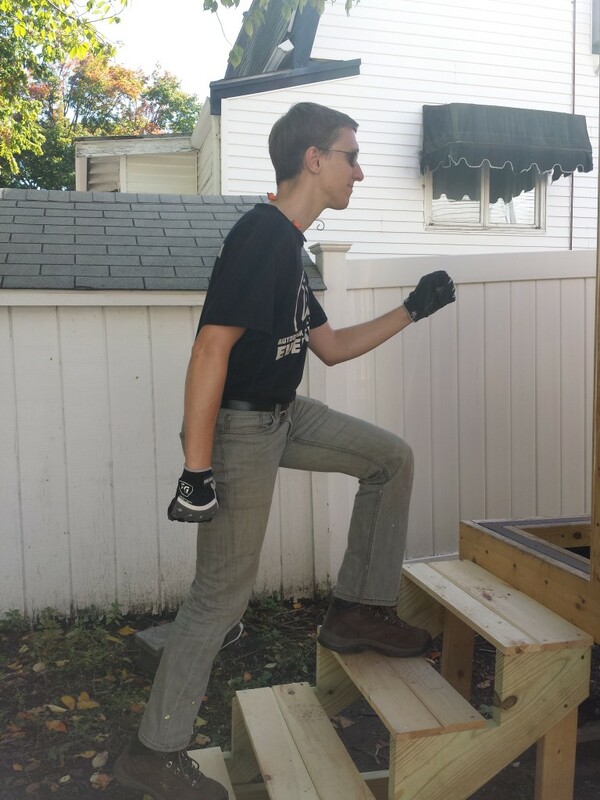 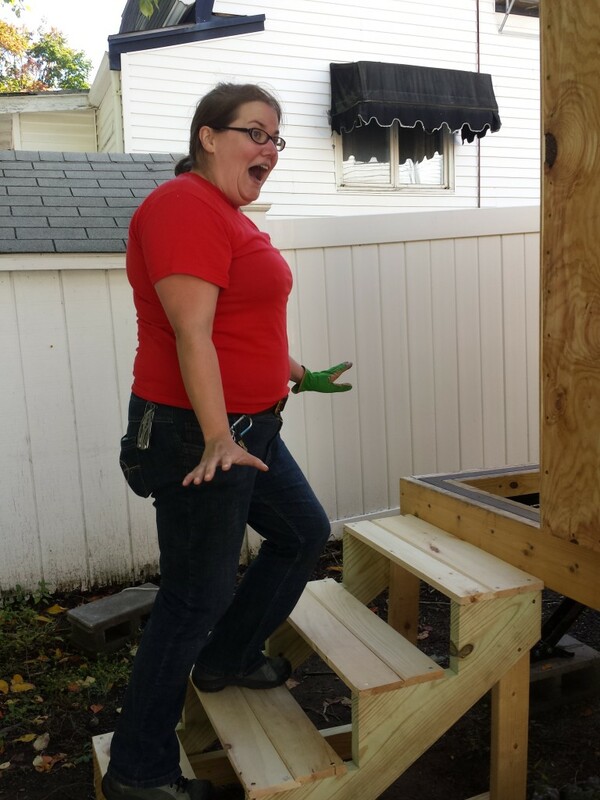 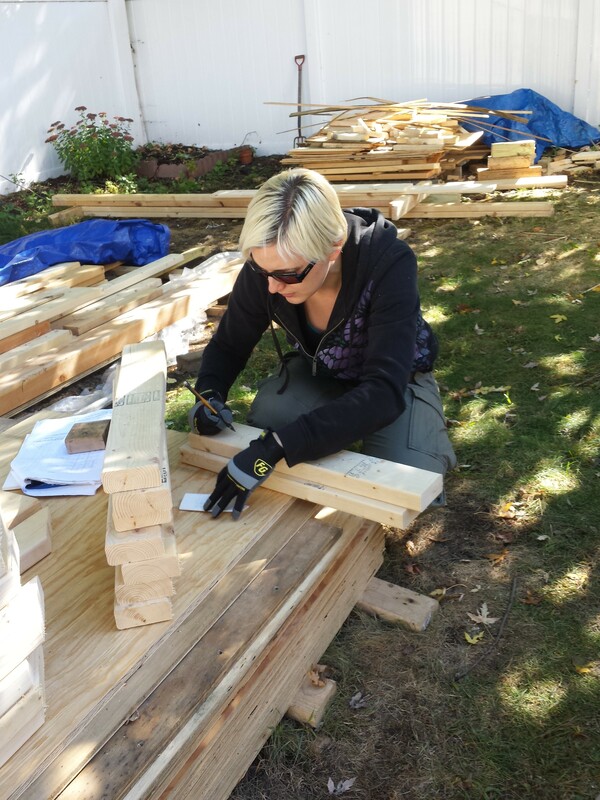 Owen bought a simple 4-step frame from Home Depot, and Nicolle constructed stair step parts. 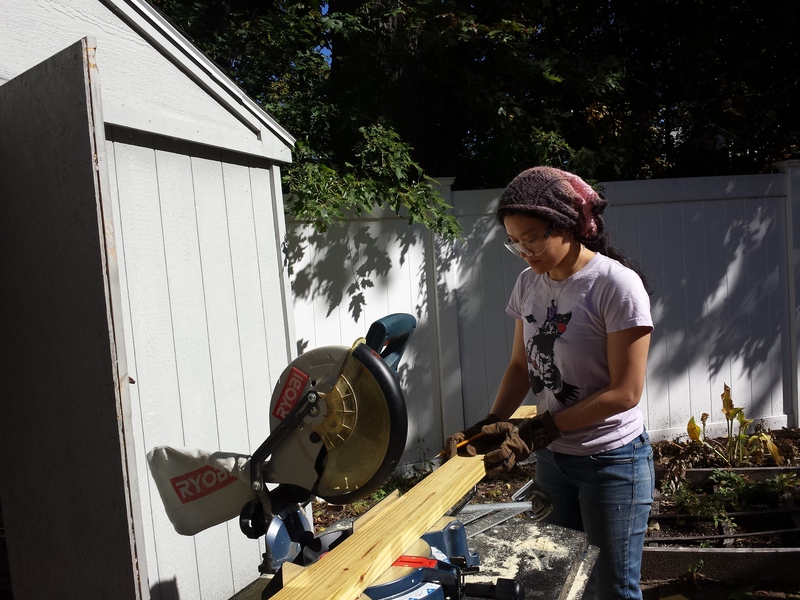 Nicolle and May-Lee cut, assembled, and drilled it together. Our stretch goal of getting the roof sheathed by the of the party did not happen but that’s ok.
With the rafters in place, being inside the tiny house gives a a warm blue glow and the sensation of the space that the house will actually occupy. 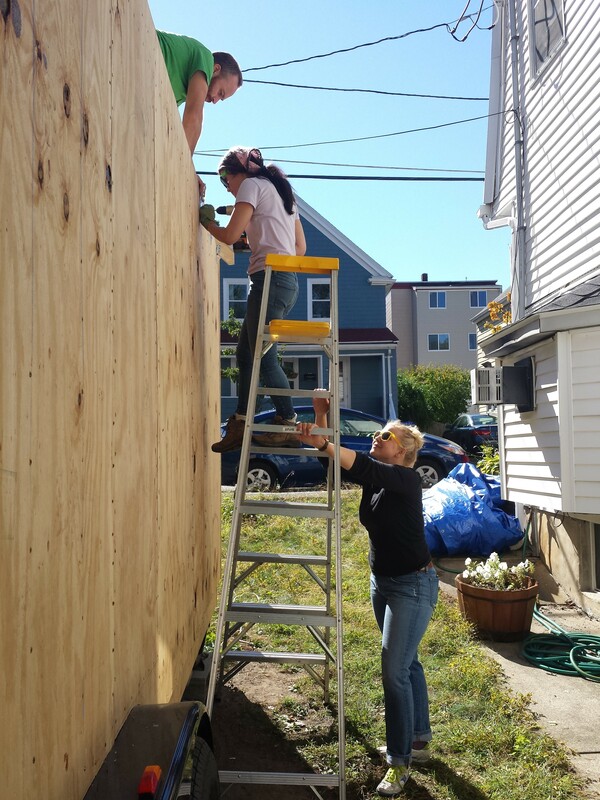 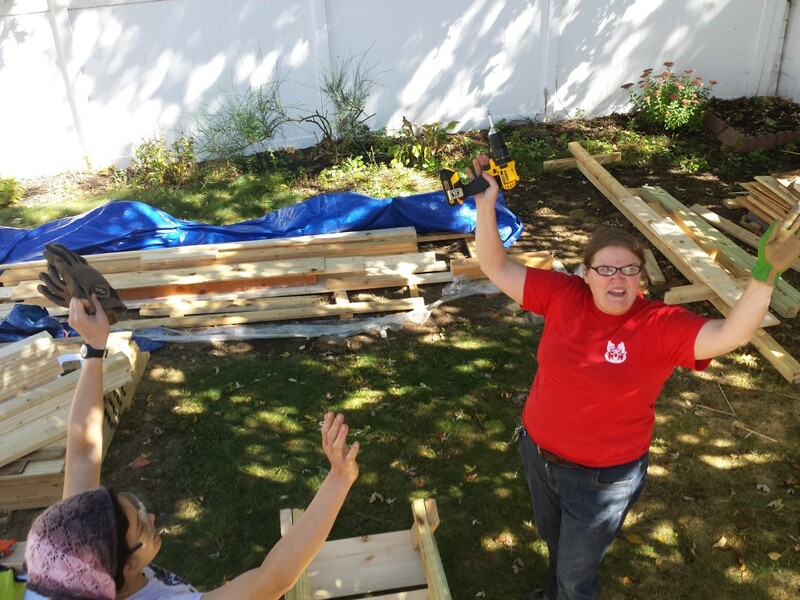 Many thanks to Nicolle, Andy, May-Lee, Chris, Eric, Natalie, Pavel, Elizabeth and Benny for their hard work, expertise, bringing their own tools, and photography, and to Amir and Trae for lending us their tools and ladders even though they did not attend.